The western edge of Kruger National Park alone is home to 2 million impoverished people. The financial lure of poaching for ivory or bush meat is a quick fix to feed families. But ivory poaching and wildlife trafficking destroys valuable ecosystems. It deprives Africa of sustainable economic development & obstructs poverty alleviation. Global security is threatened with drugs and terrorist groups using ivory poaching to fund activities. 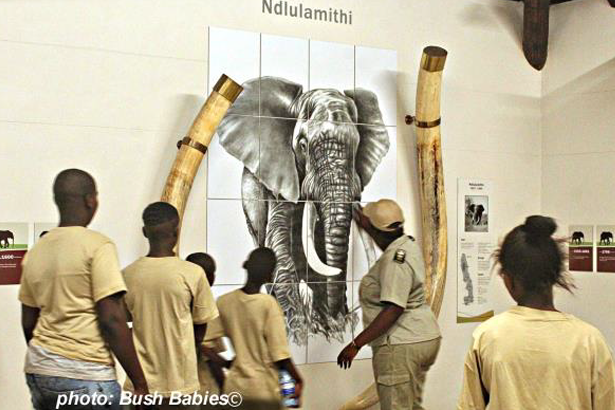 Kruger’s animals are a massive part of South Africa’s economy through tourism and job creation. Today’s children will be the most affected by a future without them. 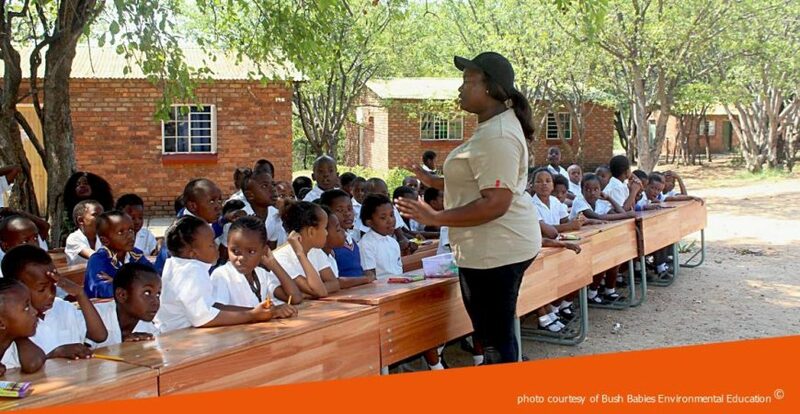 Education plays a major role in addressing environmental issues, empowering children to lead the way against ending the wildlife trade for future generations. 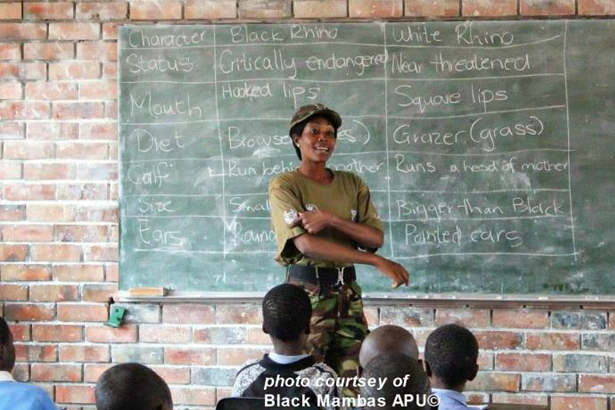 In 2017 Pondoro game lodge in Balule, introduced PF to the Black Mambas Anti-poaching Unit and their initiative for environmental education. Inspired by the dedication of the people involved & as part of their own commitment to inclusive education the Foundation are proud to be supporting this investment in youth. 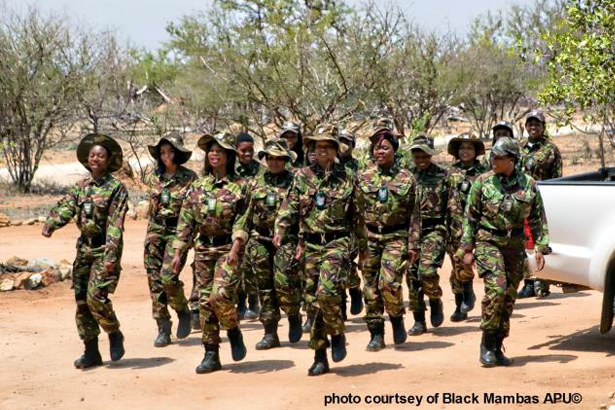 In 2013 the all-female Black Mamba Anti-Poaching Unit was set up. 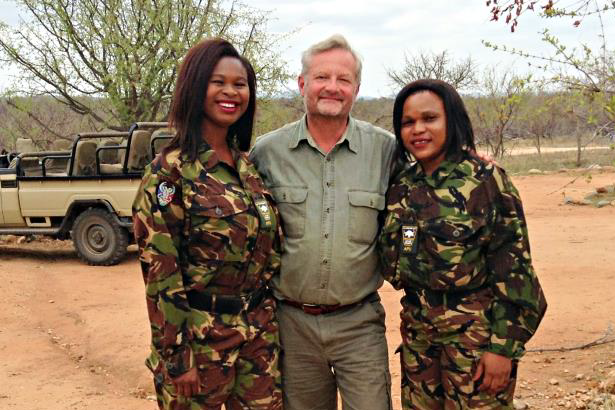 32 combat trained women patrol unarmed 24/7 at the front line of conservation in the Balule area, where rhino poaching is prevalent. The women live in local villages and are proving the fight against poaching is more achievable through environmental education of children & communities, than with guns. 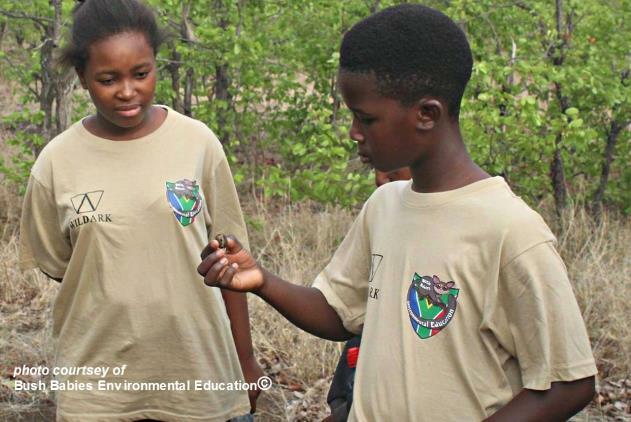 In 2015 Black Mambas set up the Bush Babies Environmental Education, a non-profit outreach programme led by Lewyn Maefala. 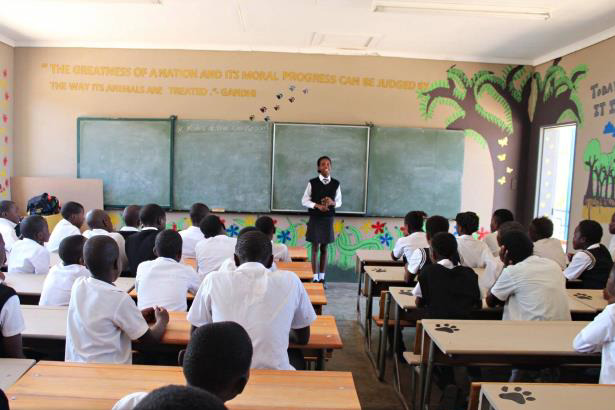 Weekly lessons are held at 10 rural schools around the National Park, reaching thousands of local children. Elephants and rhinos are primary keystones in Africa’s ecosystem maintaining the balance of all other animals and plants. Their extinction will be irrevocable and hundreds of rangers a year are killed trying protecting them. Pupils also get involved in community vegetable gardens, tree planting, social sciences & sustainable environmental management. They take exams and graduate with accredited certificates. Such experiences can create career choices they’ve not ever considered. 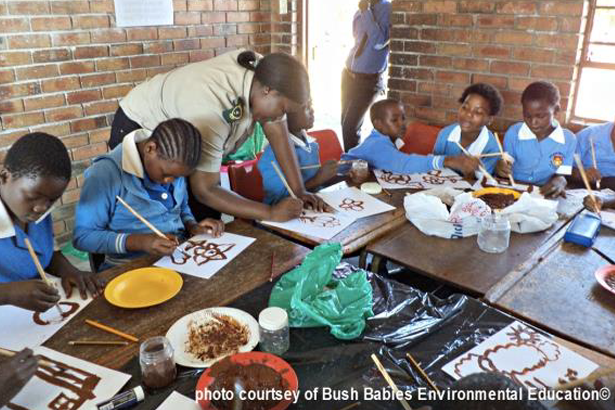 Environmental education is part of South Africa’s school curriculum, but rural schools suffer from low funding and few learning resources. 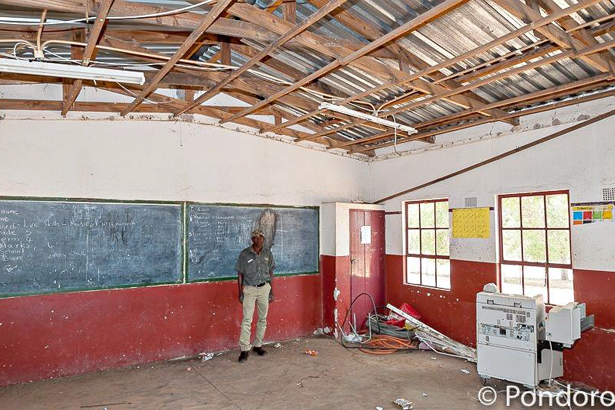 Funding classroom refurbishments is the first stage in PF’s support to help make Bush Babies’ lessons inclusive. 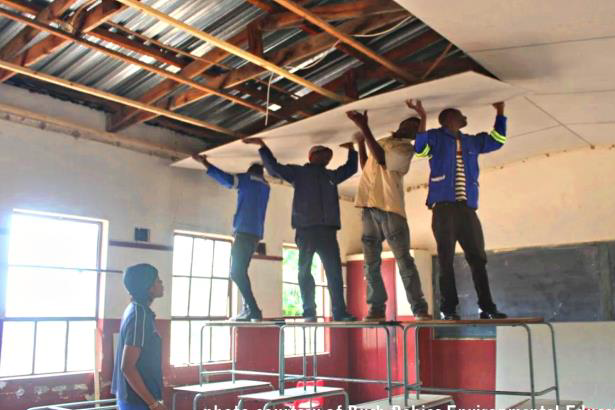 Maseke Primary and Bollanoto Primary schools, on the Northern boundaries of Balule reserve have now had dilapidated classrooms refurbished with PF donations. Old ceilings, fans, lights and window panes have been replaced. Floors have been repaired, broken desks mended, walls and blackboards repainted. 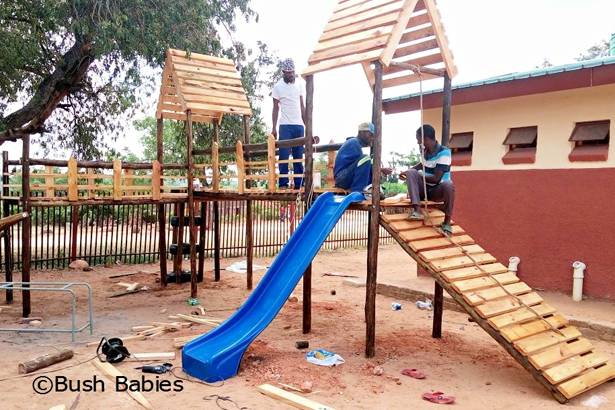 Funding has paid for Mabine Primary and Modume Primary schools to have jungle gym playgrounds built. Play is not a luxury, it is a necessity for learning. 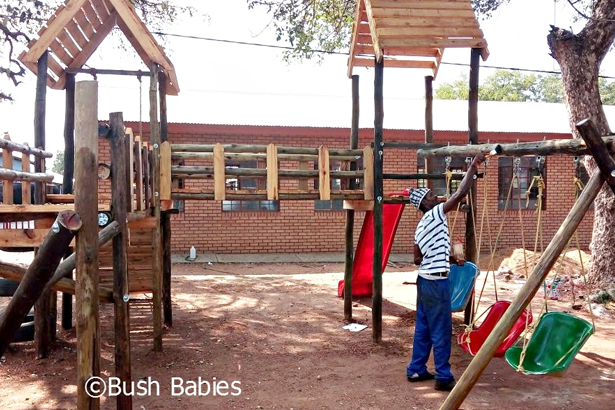 This year the aim is to install a jungle gym in all 10 schools in the Bush Babies programme, giving pupils the chance to enjoy physical activity which helps academic concentration. A school that’s proud of their environmental classroom is motivating and encourages other schools to follow. 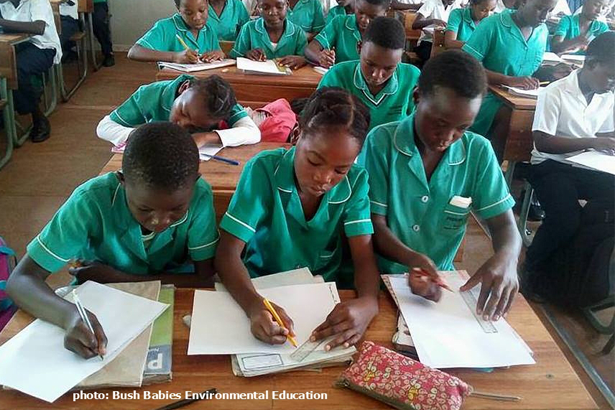 Bush Babies want to expand their programme but desperately need support. 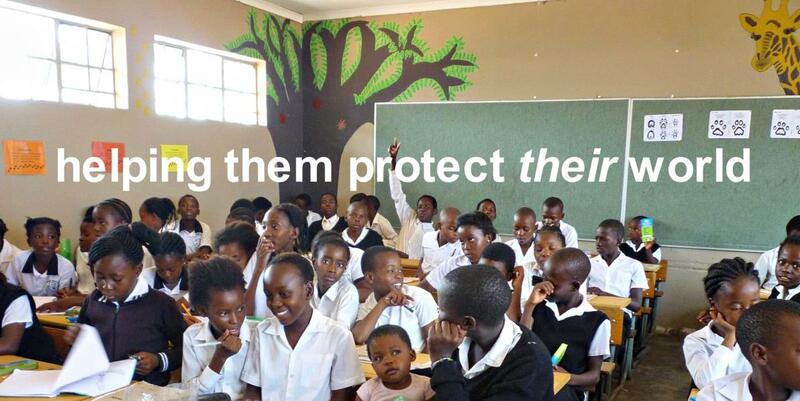 The importance of protecting earth’s biodiversity depends on teaching all the world’s children to stand against illegal wildlife trafficking, enabling them to protect the world they’ll grow up in – before it’s too late.